A Special set up to complete a lighting project for Quarter Scale or Larger Room boxes, all in one Kit. Light up your great hand made projects now! 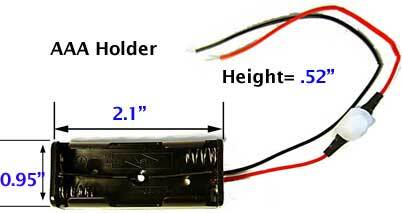 The black wire is 12 inches long. 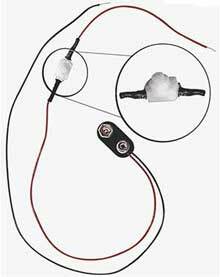 the black wire is 6"
Protect the connection with shrink tube or tape. Press the switch and light up your model! 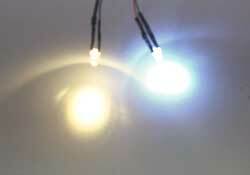 Questions about LEDs and your project? 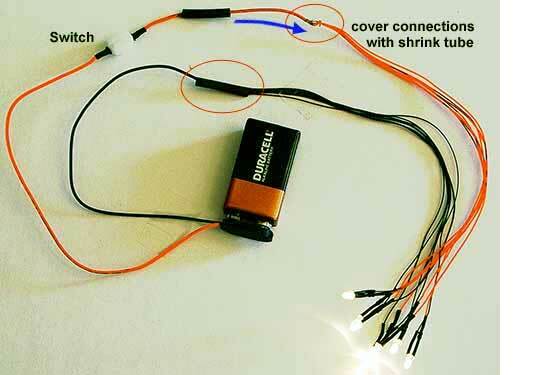 Try our LED tips for Miniaturists! "Thank you for your last package, it was prompt and lights wonderful to use and I now have a lit 1/4 scale house." "I have now used your LEDs in 2 of my minis and found them very easy to do, thank you for helping me bring them to life!" "You make it so easy to light, I can't think why I wouldn't include lighting in all my mini projects."